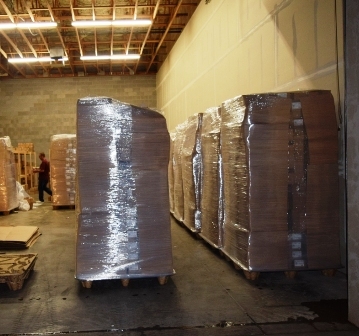 Receiving a 40 foot container of Polish Stoneware is as exciting as it sounds. Days before the delivery we anticipate the new collection by making room, cleaning organizing and beaming from ear to ear. The warehouse vibrates and we talk about patterns, shapes and all the possibilities. We usually ware ourselves out with all the details but when that big semi-truck rolls up, a new surge of energy comes as we unload 20 pallets, sky high, and begin stocking.